You Are Here: Home » Practice Management » What is the Best Way to Balance Your Marketing Investment? How much should a high-growth firm invest in marketing? What techniques or investments pay off more—traditional or social marketing? 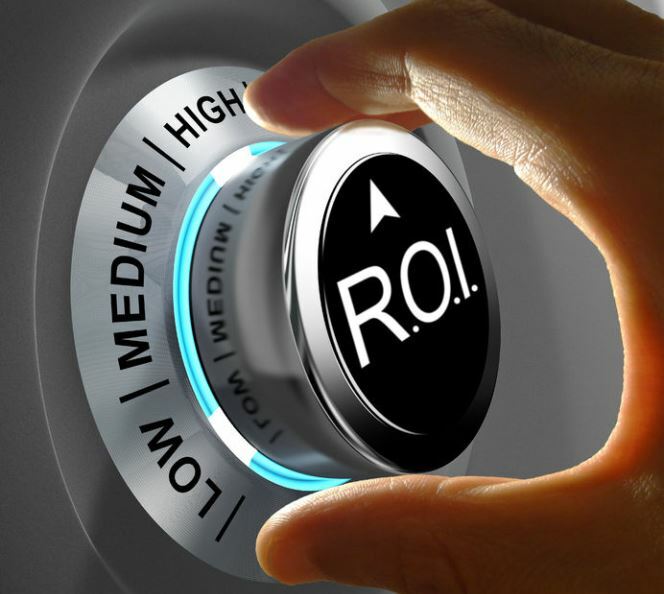 What should a high-growth marketing firm expect from these investments? How do results differ from firms that are not growing? How do high-growth firms differ from other firms? In this article, Dr. Frederiksen answers these and other questions. Most firms already know they need to invest in marketing. The more difficult question is, exactly where should they make their marketing investments? My firm recently conducted a study to understand how high-growth firms answer this question differently, especially when compared with firms that are not growing. Our study looks at more than 525 firms and reveals several key differences in how the fast-growing firms allocate their marketing resources—in terms of both time and effort. In a nutshell, high-growth firms have many similarities with other firms—but they also have distinct differences in strategy, marketing mix, and results. There are two major forms of marketing investment: time and money. We used an approach that combined these two types of investment into one concept: overall effort. 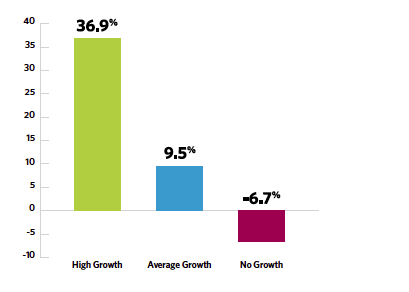 Using this metric, the total investment made by high-growth firms in all marketing activities is actually slightly lower than that of their no-growth peers, as depicted in Figure 1. We also found that the high-growth firms have some very clear differences in their strategy when compared to their no-growth competitors. To begin with, they are far more likely to offer niche or highly specialized services. As Figure 2 shows, high-growth firms are 75% more likely to have a highly specialized practice. High-growth firms are also far more likely to have more compelling differentiators—both in terms of sheer number (about 20% more differentiators) and in the quality of the differentiators themselves. Their differentiators are twice as likely to be easy to prove and more relevant to potential new clients. High-growth firms tend to shift how they balance their investment of effort—spending an average of 23% less effort on such traditional techniques as collateral, speaking engagements, partnership marketing, and conferences/tradeshows. In fact, the only two areas of traditional marketing where high-growth firms outspent slower-growing counterparts were in telemarketing and direct mail—both of which happen to be highly targeted techniques. Another major difference between high-growth firms and others involves marketing results. We found that high-growth firms enjoy several advantages. 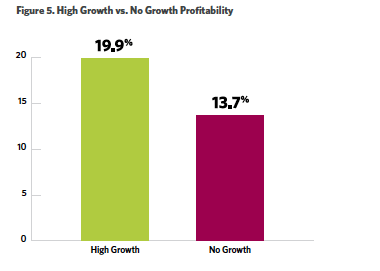 As shown in Figures 3 and 4, high-growth firms are as much as 45% more profitable, and have a much higher rate of growth, than slower- or non-growing firms have. This more detailed level of insight helps firms better understand what is and what is not working—and make adjustments accordingly. It also allows them to be more efficient and profitable, and better positioned to take advantage of growth opportunities. Hinge is pleased to partner with NACVA on an exclusive offer to help members elevate their firms’ level of recognition: our research-driven Visible Firm® program. Our offer includes a detailed review and benchmarking of your firm’s marketing against other firms in your industry, and lays out a detailed marketing strategy modeled on the highest performing firms. To learn more about this proven approach to gaining recognition as a Visible Firm®, click here.